We welcome the opportunity to help your children start out on a lifetime of faith. Pre-baptism preparation gives a chance for you to talk through the service and the issues involved. 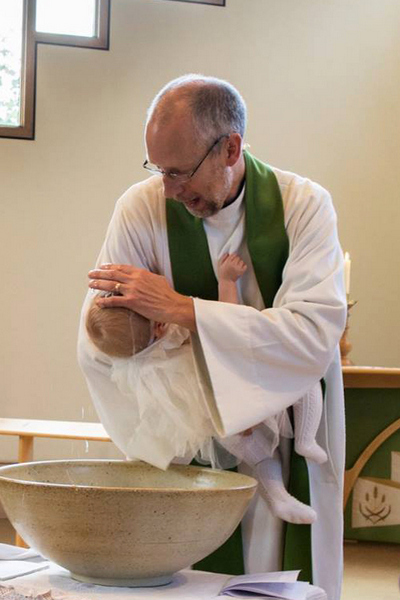 The Church of England website gives general information about baptism. To enquire about booking a baptism at St Andrew's, please contact the vicar, Phil Rodd, on 01603 455778 or by email. Baptisms normally take place during the main 10am Sunday service but, if necessary, we can discuss other times and days. Of course, baptism is not limited to babies! Older children and adults who have not been baptised, who wish to make the promises for themselves, should also contact Phil. There is a leaflet containing more information about baptism at St Andrew's. Please do not fill in the form until you have discussed all the arrangements with Phil.